While this part of Canada is experiencing some absolutely beautiful sunny weather our news channels are feeding us images of areas of the Caribbean, Florida and a week ago in Texas that have been devastated by hurricanes. It would be so difficult to prepare for a storm of the magnitude of Hurricane Irma. You know the storm is coming. The biggest storm on record. According to environmental news magazine “Grist” Irma had broken many records even before it even made landfall in Florida. It was a category 5 storm (157 miles per hour winds or higher) for 3 straight days on the Saffir-Simpson Hurricane Wind Scale. And in the case of Hurricane Irma, which had 185 mile per hour winds (and gusts reaching 210 miles per hour) for 37 hours a new Category 6 may be created for this type of Superstorm. In our personal lives there can be storms that can be devastating. Job loss, injury, sickness, marriage struggles can really uproot a person’s life and be a contributing factor in depression. A person may not feel there is not much to live for. Today, September 10th is World Suicide Prevention Day. Beginning in 2003 as a United Nations initiative the aim was to raise awareness that suicide is preventable and to improve education about suicide. In addition their aim is to decrease stigmatization regarding suicide. According to the World Health Organization, 3000 people die daily from suicide. As of this writing there has been 20 people who have lost their lives across the Caribbean from Hurricane Irma which is tragic. Every life is so important. With 3000 lives lost daily to suicide, this is also very tragic. 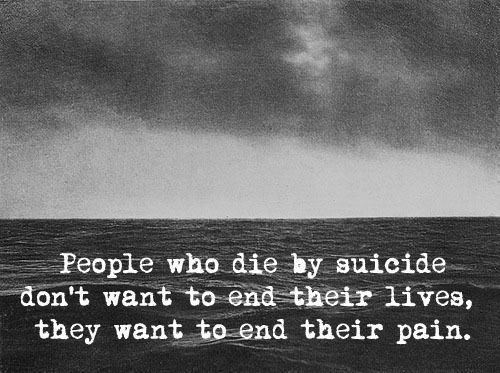 For every person who completes a suicide, 20 or more may attempt to end their lives. About one million people die by suicide each year. Suicide is a major preventable cause of premature death which is influenced by psychosocial, cultural and environmental risk factors that can be prevented through worldwide responses that address these main risk factors. There is strong evidence indicating that adequate prevention can reduce suicide rates. In the Bible there are 7 passages that have references to people taking their own lives. The most well known is Judas who is mentioned in Matthew 27:3-5. Judas was depressed and felt trapped by materialism and guilt and he committed suicide. The scripture passages range from A to Z, from Abimelech (who lacked personal identity) found in Judges 9:52-54 to Zimri (who had a problem with authority) found in 1 Kings 16:15-20. As we read these passages it is so easy to judge. But “Our job is not to judge. Our job is not to figure out if someone deserves something. Our job is to lift the fallen, to restore the broken and to heal the hurting”. The solution to despair and hopelessness is not suicide, but a faith in God. Jesus promises that he will give a rest from our struggles and problems. 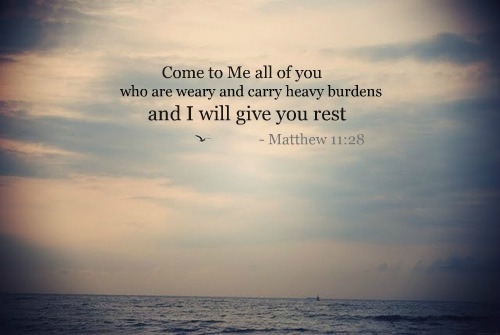 From the mouth of Jesus it speaks in Matthew 11:28 which says “Come to Me all of you who are weary and carry heavy burdens and I will give you rest”. If you are thinking about suicide tell someone. Tell your parents, your brother or sister, your teacher or school counselor, your pastor or youth minister. If you are older adult tell your children. Tell a friend you can trust. If a friend tells you that he or she is serious about suicide, then you need to tell someone who is responsible and has the resources to help. There are also suicides hot lines with trained professionals who can help.